Review of Rex Regis – Book 8 of The Imager Portfolio by L.E. 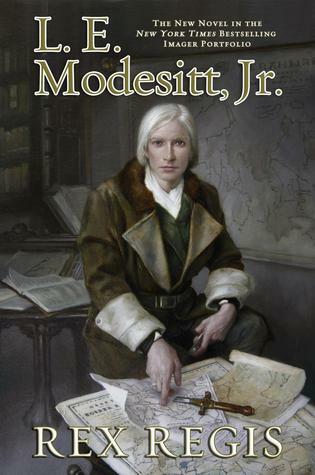 Modesitt, Jr. I was delighted when I came across this addition to an excellent long-running series by one of my favourite authors. 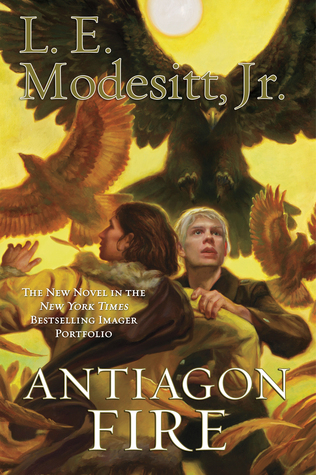 At his best, I think Modesitt Jr. writes daily life in a fantastic world like no one else – see my review of Antiagon Fire here. While the conqueror of Bovaria awaits emissaries to hear if the last country in the continent with agree to terms, other weighty matters occupy Bhayar, his sister, Velora and her husband Quaeryt – not the least of which is the fulfilment of Quaeryt’s dream to create the world’s first imager academy: where the magical abilities of these powerful casters may be honed, managed, and put to the service of the common good. But before that dream may be realised, the spectre of high treason threatens to unravel all that Quaeryt has achieved, catapulting him toward a fateful confrontation with Bhayar’s most military. However, my firm advice would be if you haven’t yet had the pleasure of reading the rest of the series, whatever you do, don’t start with Rex Regis, but go back and start at the beginning with the first book, Imager which I’ve reviewed here. That said, I have to say, I was conscious of floundering for a few pages before I snapped back into the world and Himself reported that he felt similarly adrift. There are only a handful of authors who I trust sufficiently to shrug my shoulders and put up with it, knowing it would soon sort itself out – but Modesitt is one of them. And my instincts paid off. Once I picked up the threads of the story and recalled who had done what to whom, I was right back in this richly depicted world, very much caring for Quaeryt and Velora. Because Modesitt writes happily married couples without lapsing into sentimentality or having them jump into bed every five minutes to prove their love is the real deal – which is refreshing in a genre where long-term coupledom doesn’t tend to feature all that often, anyway. So, does this book measure up to the rest of the series, which I’ve thoroughly enjoyed? Oh yes. I love the character progression, wherein Quaeryt is a whole lot less hot-tempered and impetuous than he used to be. However his maturity and confidence has been bought at a terrible price. Which is another aspect I really enjoy about these characters – as they emerge from a series of life-changing adventures, they are different. Once more, a cracking addition to an excellent adventure.